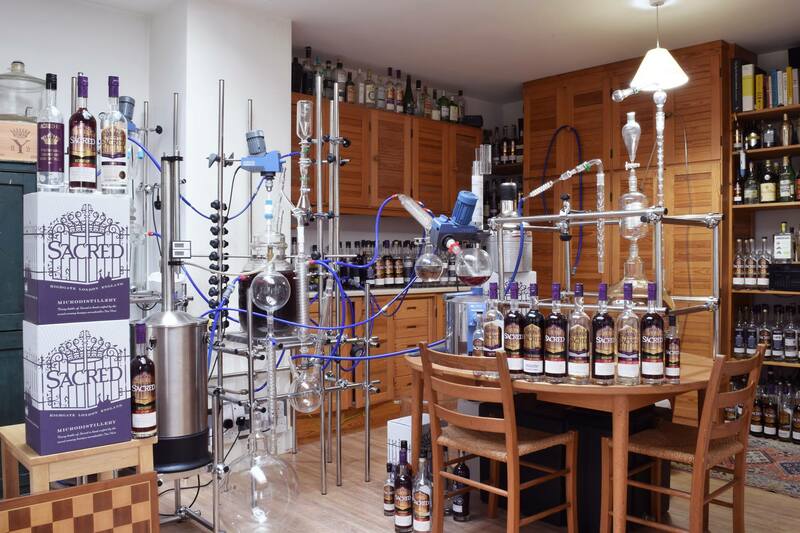 How this small Highgate distillery took vacuum distillation to the world. During the 18th century there were over a thousand makeshift distilleries dotted around the city: London was the unofficial gin capital of the world. As its popularity grew so too did its unregulated production. Needless to say, quality wasn't a defining factor of the gin being produced and the 'Gin Craze' became a rather forgettable chapter in London's liquid history. Ian Hart grew up in the same house in Highgate where Sacred Spirits was eventually born (and where he and partner Hilary Whitney are distilling to this day). Naturally curious and fascinated with science and distillation from an early age, Ian would eventually gain a degree in Natural Sciences from Cambridge. 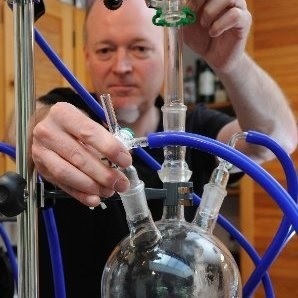 After briefly swapping alchemy for algorithms as a Wall Street trader, Ian was drawn back to chemistry through his love of wine. He started off experimenting with his own collection, vacuum distilling fine Bordeaux wines to create richer, more intense variations. He then moved onto gin, teaching himself how to distil traditional gin botanicals as well as more exotic specimens. 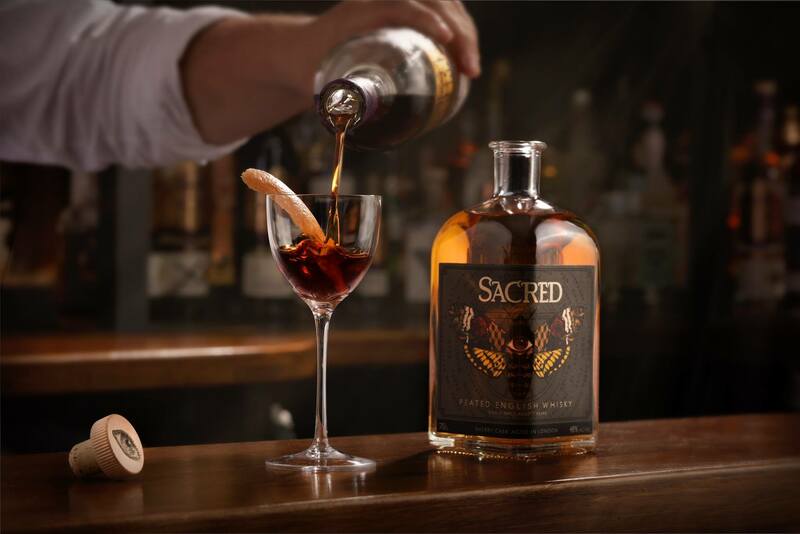 The second English whisky brand to join our Nectar shelves, Sacred Spirits take English Whisky from bourbon barrels and re cask them in London for further maturation (finishing) and flavour development in sherry hogsheads - old Pedro Ximenez casks from Bodegas Navarro in Montilla, Spain. These nutty and rich nuances give a truly deep and satisfying single malt. Log-fire smoke from a country pub, sea salt, dried pineapple, clove spice, sweet vanilla and Christmas cake. 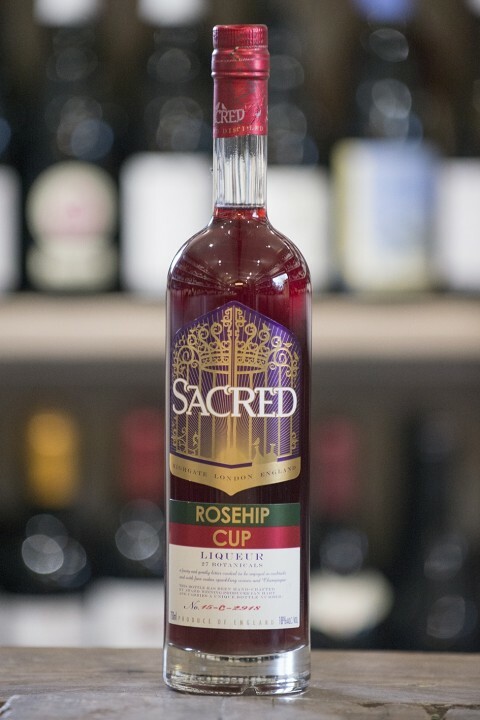 With spring in the air and British Summer time officially here, take a look at the Rosehip Cup.This all-natural gently bitter aperitif is made with English Rosehips and rhubarb, Spanish sweet orange, organic Peruvian ginger and naturally coloured with red grape skins. 1 part Soda with ice and an orange slice.